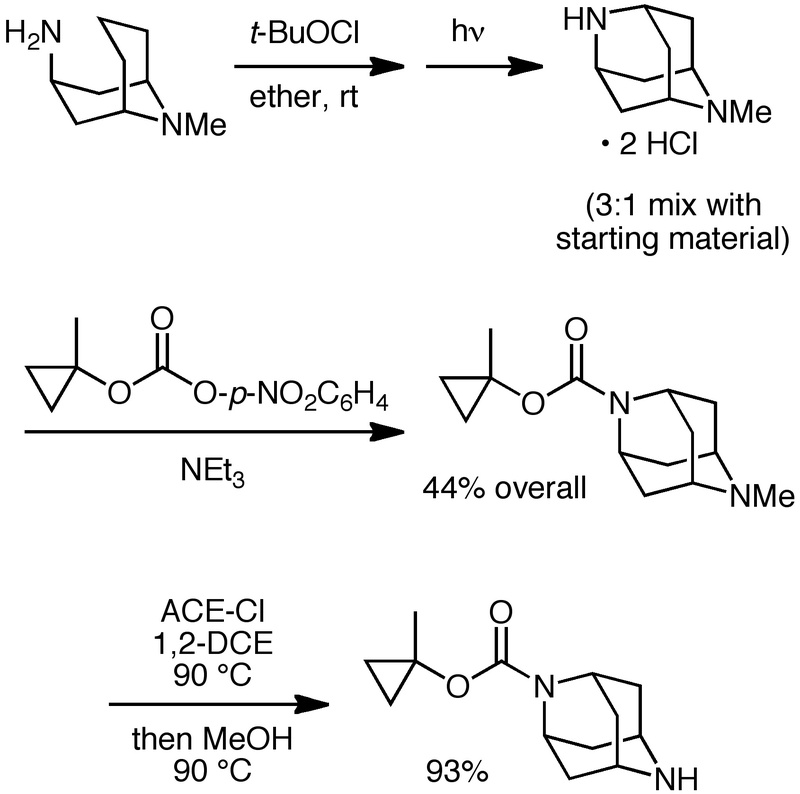 Here’s a process that I think needs continued attention from the synthetic community: Making saturated nitrogen heterocycles from simple N-alkylamines by intramolecular CH amination reactions. 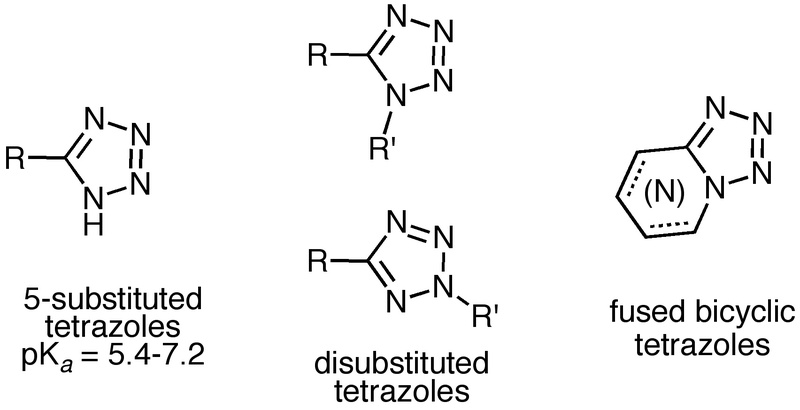 There’s a lot of great chemistry out there for related process where there is an electron-withdrawing group attached to the nitrogen within the tether (vide infra), but let’s focus on N-alkyl groups. 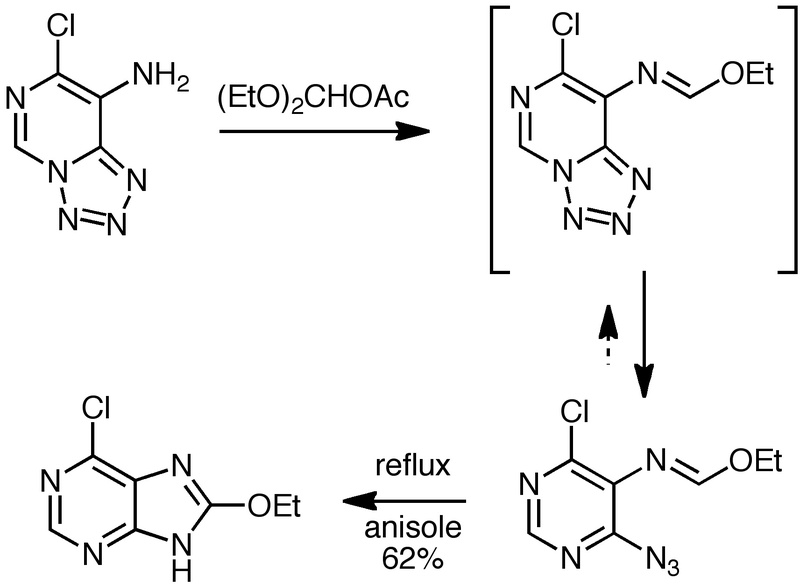 With all the activity on CH functionalization chemistry in general, I hope this reaction will become routine at some point. Let’s take a look at some recent work in this area. 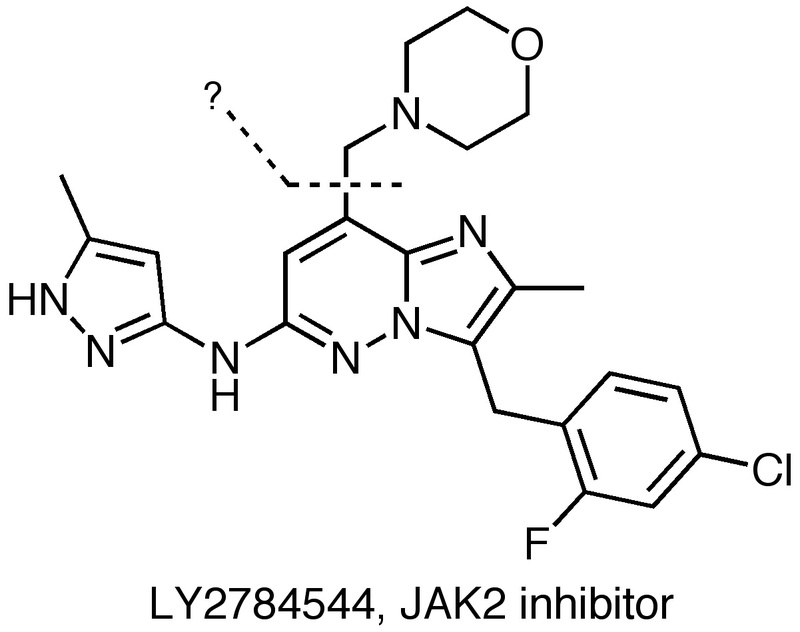 To exemplify the need for such a reaction, consider the compounds shown below, appearing in a recent J. Med. Chem. 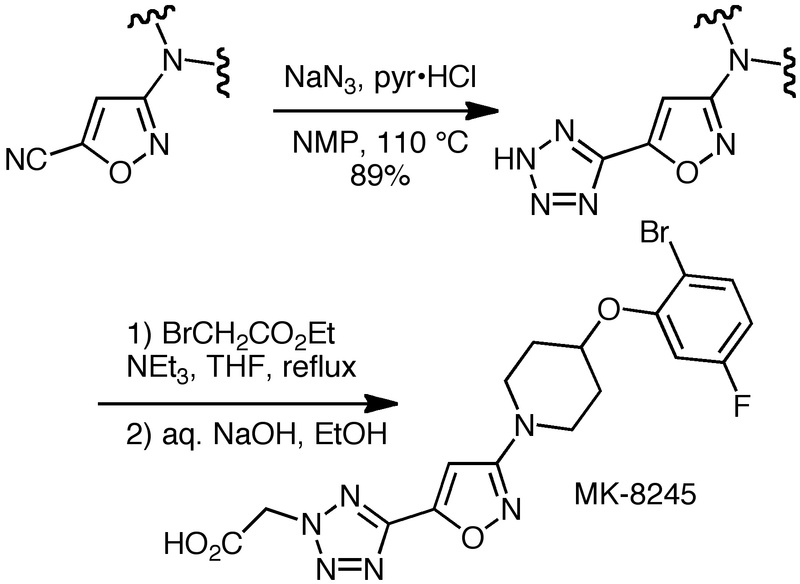 paper by McClure and coworkers at Pfizer. 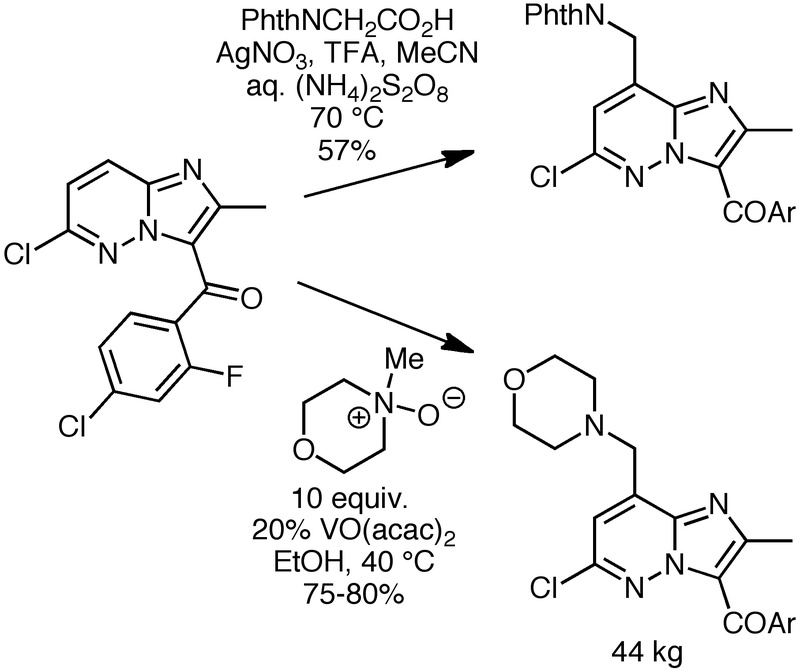 The diazatricyclodecane (or diazaadamantane) heterocycles in the dotted boxes were proposed as conformationally restricted piperidines that might make good agonists of G-protein-coupled receptor 119. 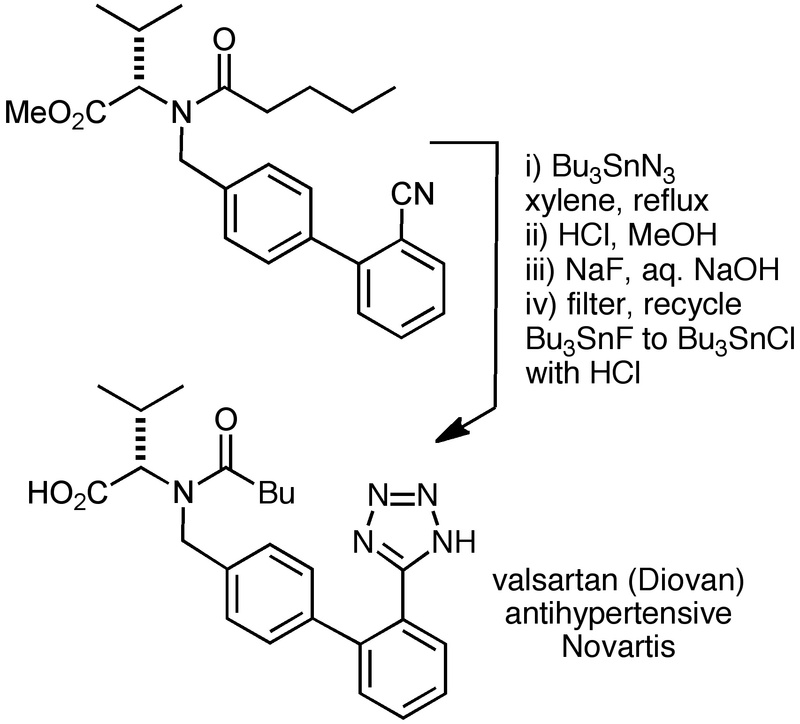 The Pfizer group settled on a Hoffmann-Löffler-Freytag (HLF) reaction to form the heterocycle. 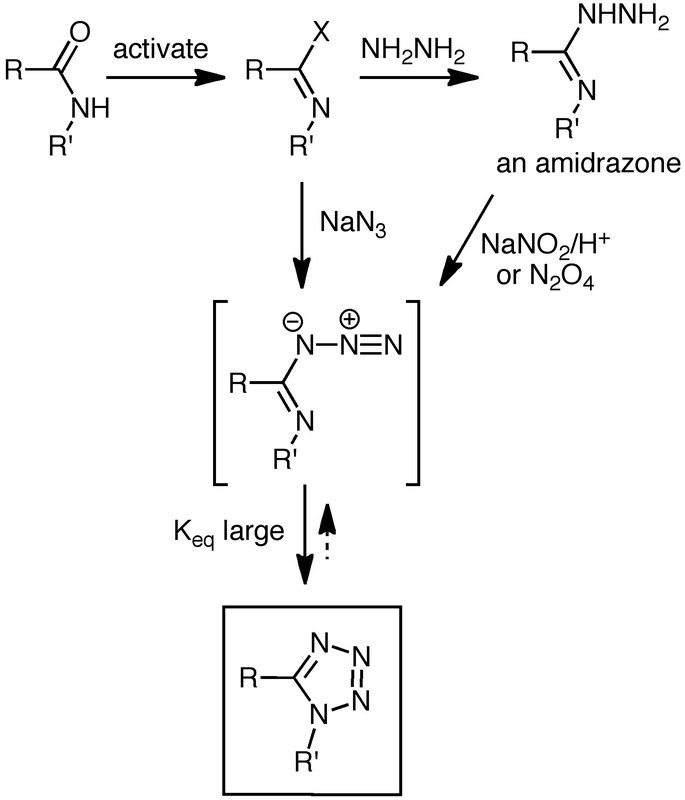 In their initial work, they were unable to reproduce Rassat’s route to such diazatricyclodecanes (JACS 1974), which involved heating the N-bromoamine in acid. 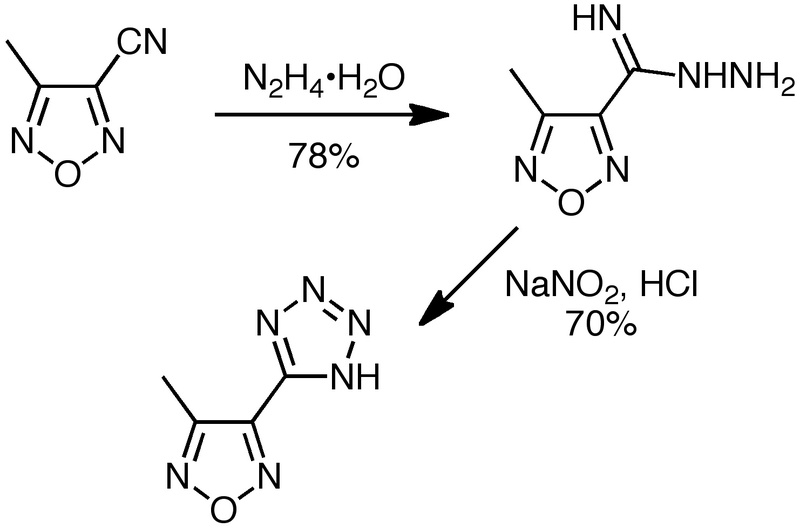 Switching to the N-chloroamine led to only 14% of the desired compound accompanied by 40% of an elimination product involving the N-benzyl group. Ultimately, forgoing the protecting group was fruitful. 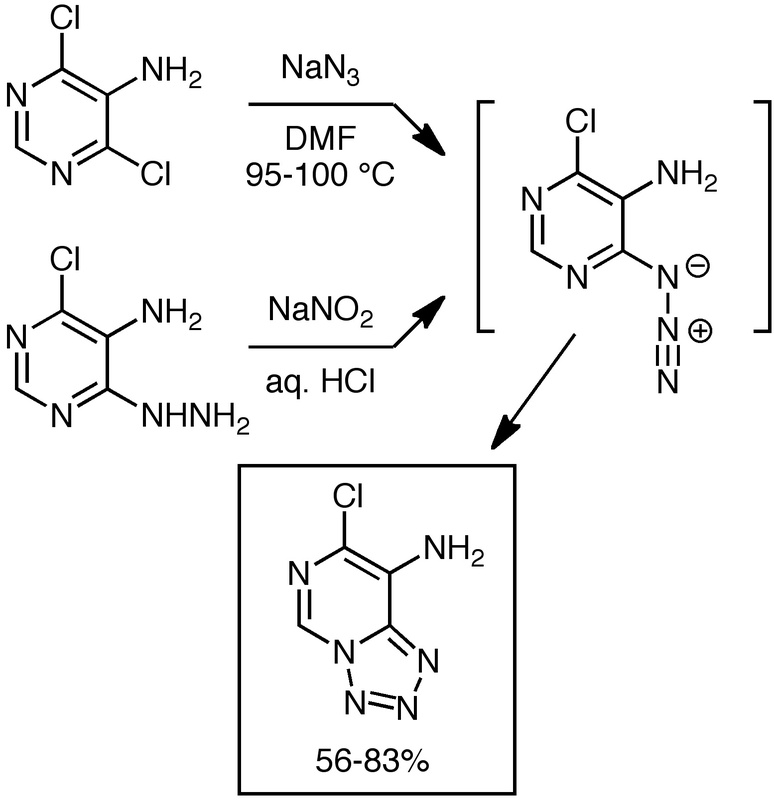 N-Chlorination of the primary amine shown below was followed by photolysis with a 450 W mercury lamp to provide multigram quantities of the crude cyclization product. 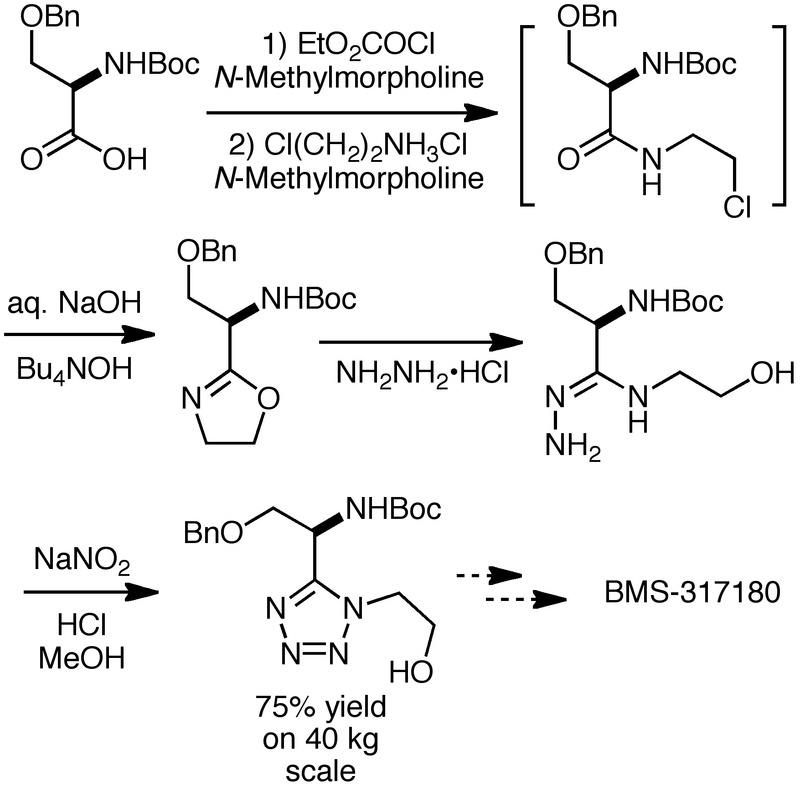 Acylation followed by demethylation of the other amino group provided the key diazatricyclodecane for their studies. 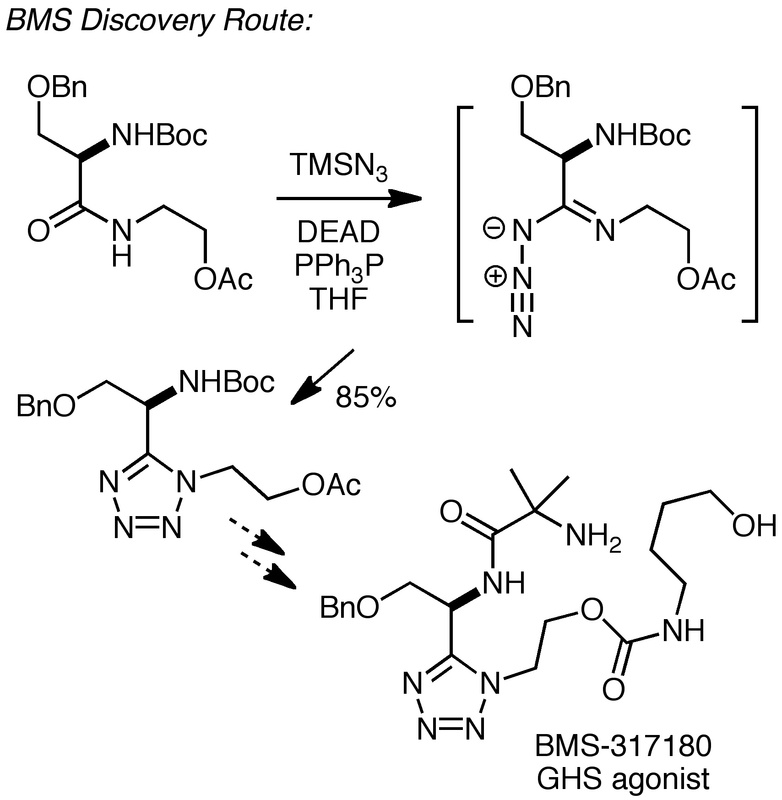 The Pfizer compounds did not pan out, so we’ll never know if their process research wizards would be able to employ the HLF route in a scaleup setting, but I imagine it would be an uphill battle. 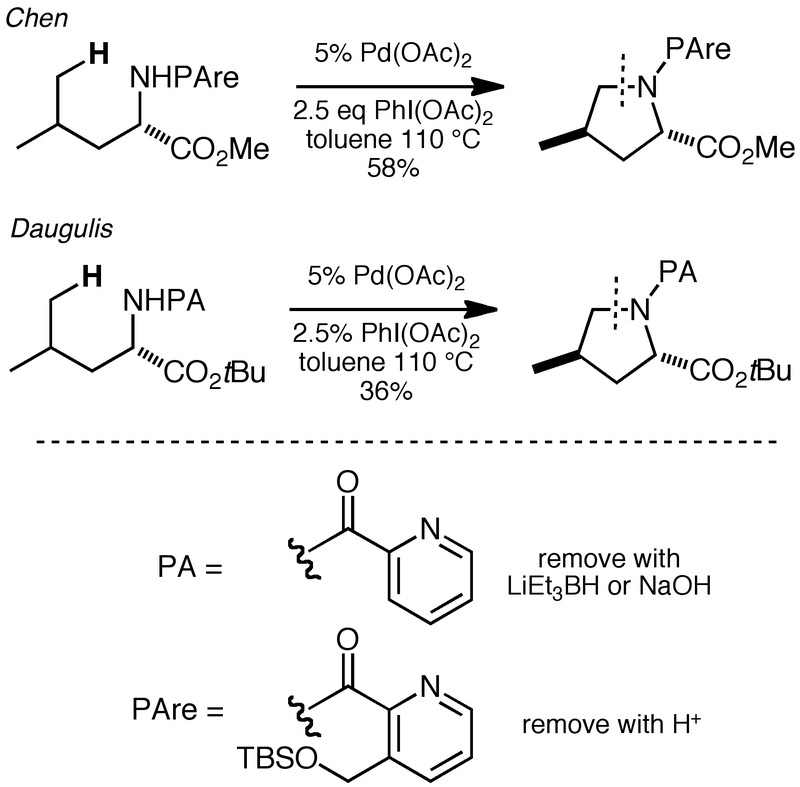 If photochemistry is ruled out, I imagine the “acid and heat” HLF would have to be sorted out somehow. 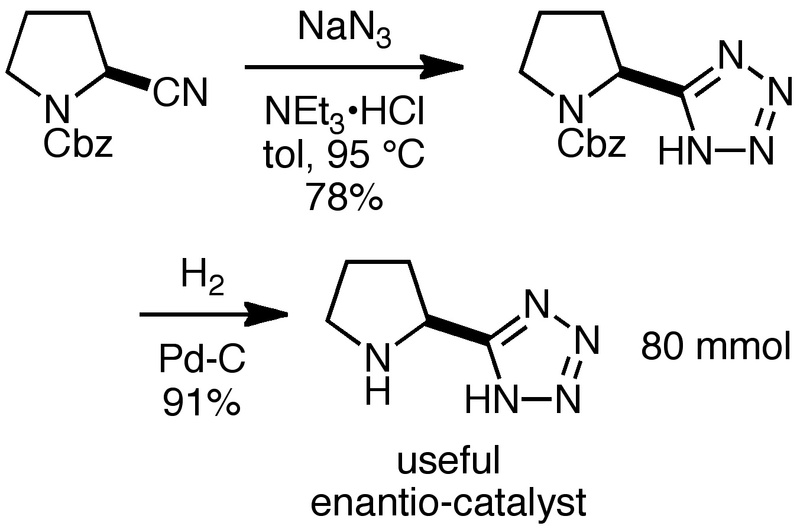 Now it’s easy to see why a more modern CH functionalization reaction with a catalytic transition metal would be useful, right? This seems like an excellent strategy, and I look forward to seeing where this research will go. 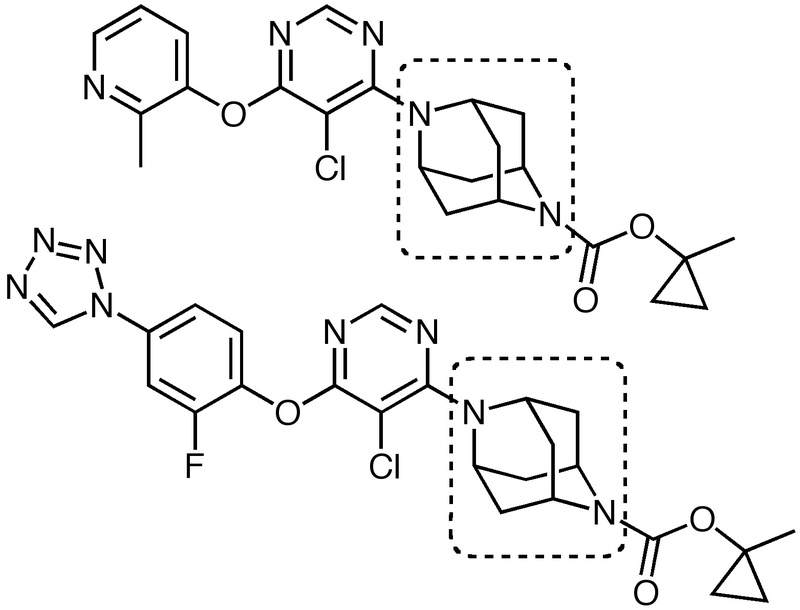 How about metal-free, light-free, halogen-free versions? There’s a worthy goal! 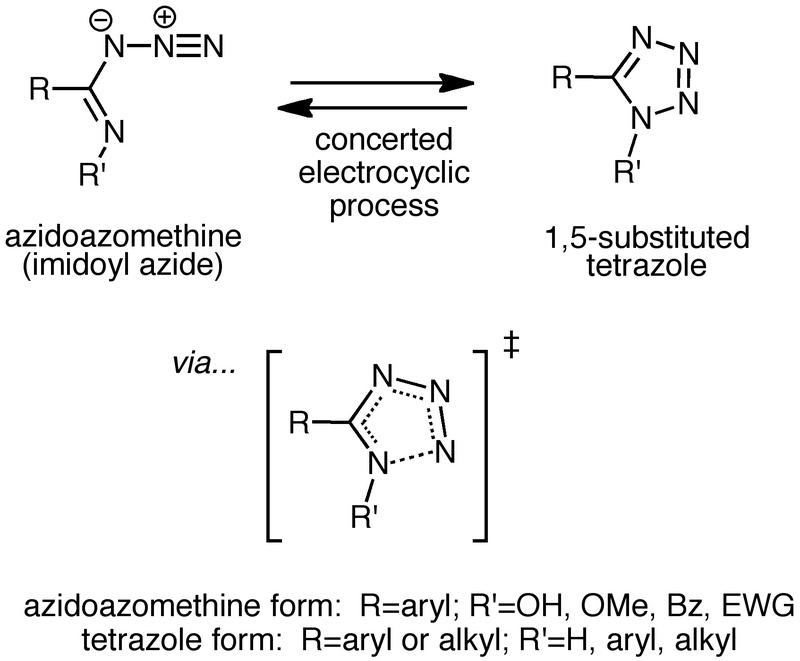 Finally, I’d be remiss if I didn’t mention the extensive work in the literature on intramolecular aminations using nitrenoids that are substituted by strong electron-withdrawing groups (DuBois, Sanford, Davies, White, Lebel, Panek, and others, leading reference here). 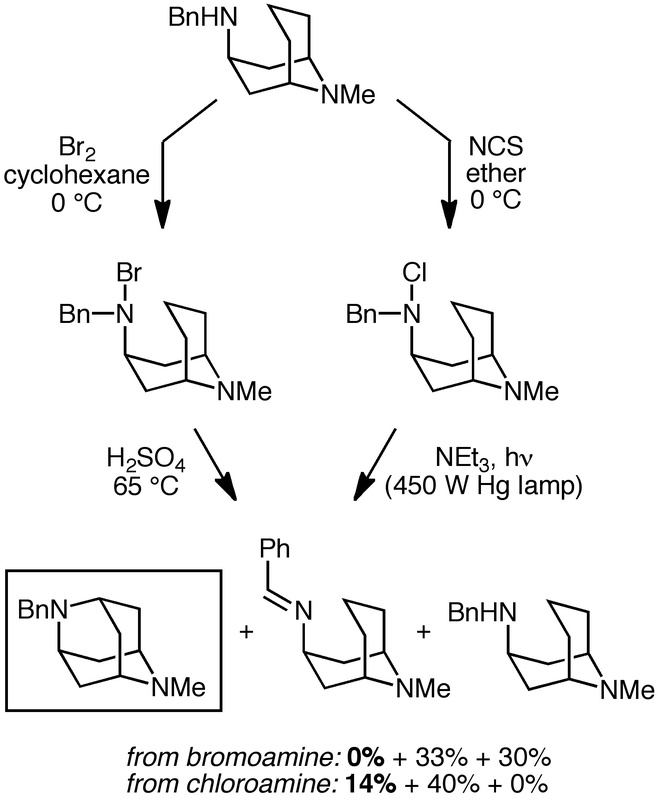 It’s a bit different from what we’re talking about here, since the electron-withdrawing group ends up in the tether, making cyclic sulfamates, carbamates, and the like. 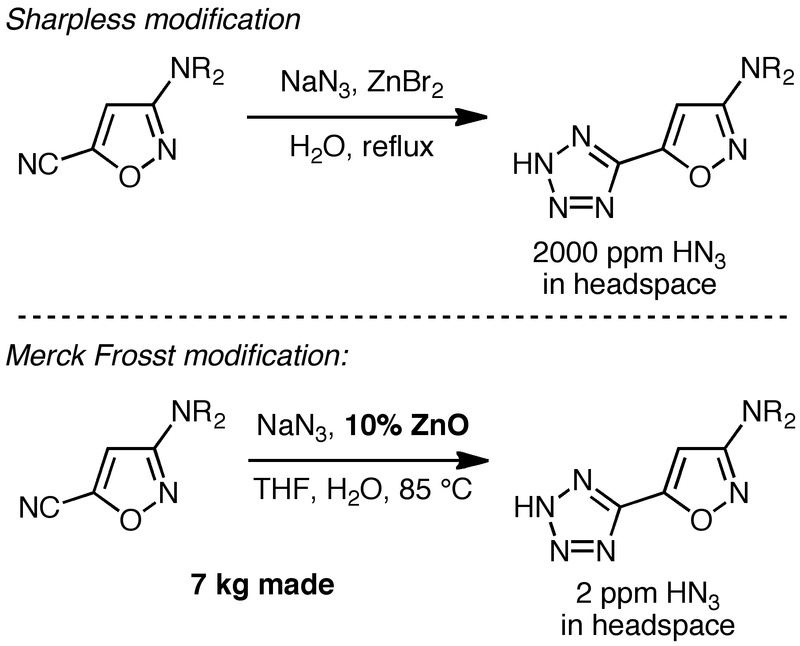 By the way, if you’re interested in this topic, you might also look at some nice recent work by Tom Driver at UIC, who is using aryl azides as the nitrogen source for metal-catalyzed intramolecular CH aminations. His paper is also a good entry to the literature of CH aminations in general.